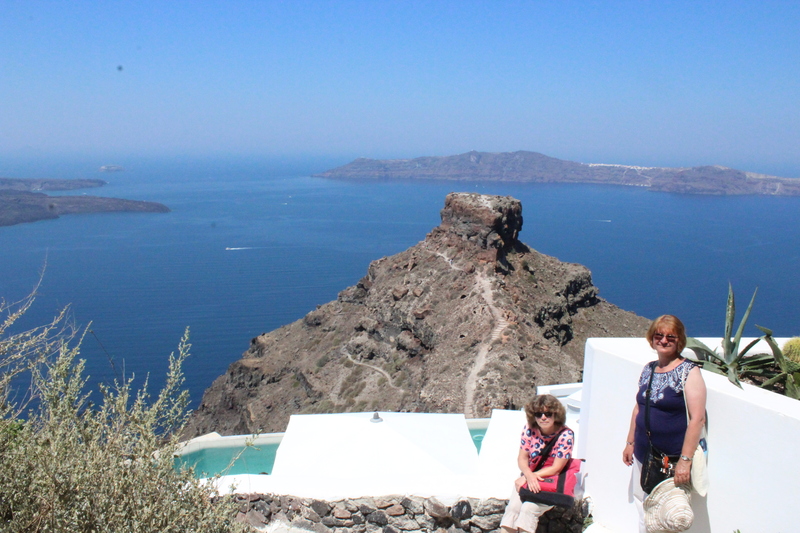 Hello from Fira again. 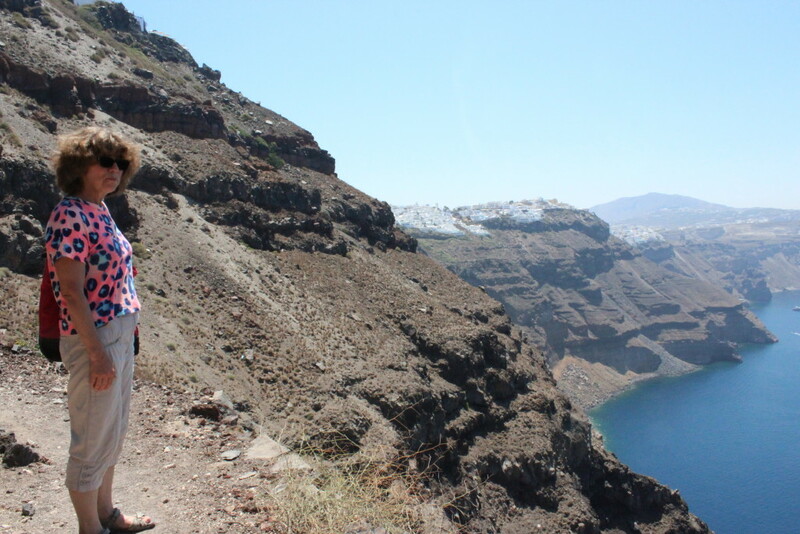 Today I would like to invite you for a walk along the rim of the caldera. 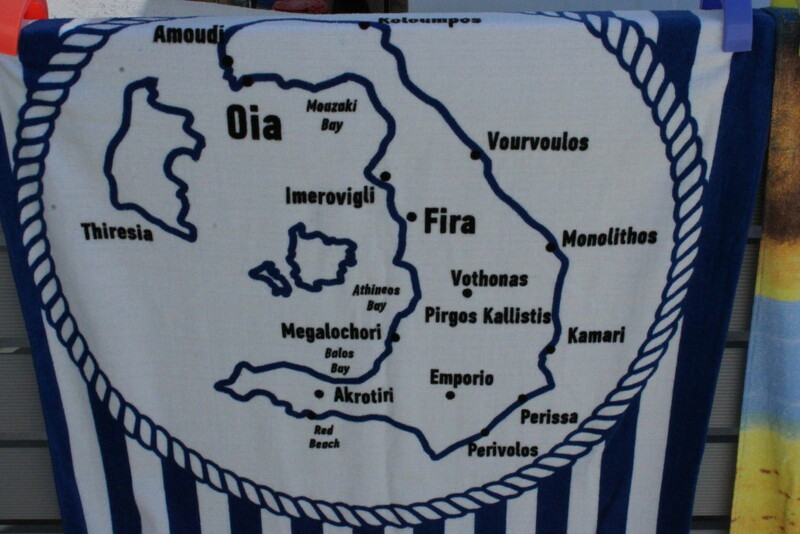 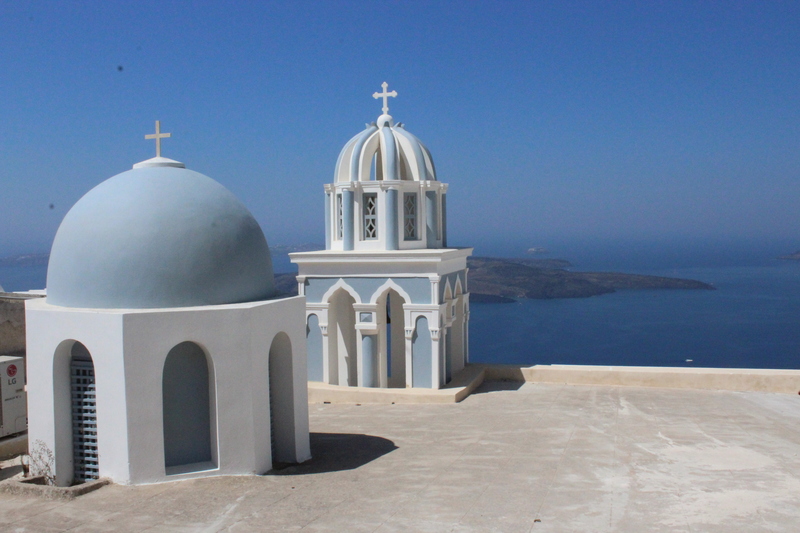 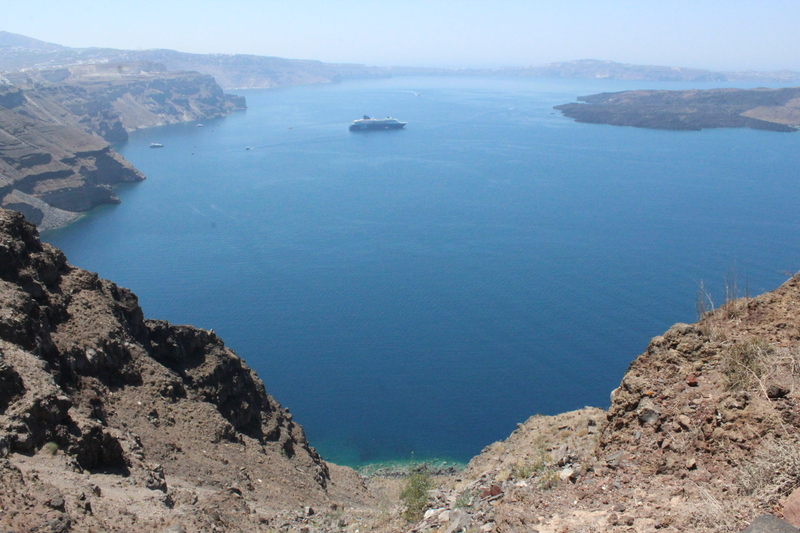 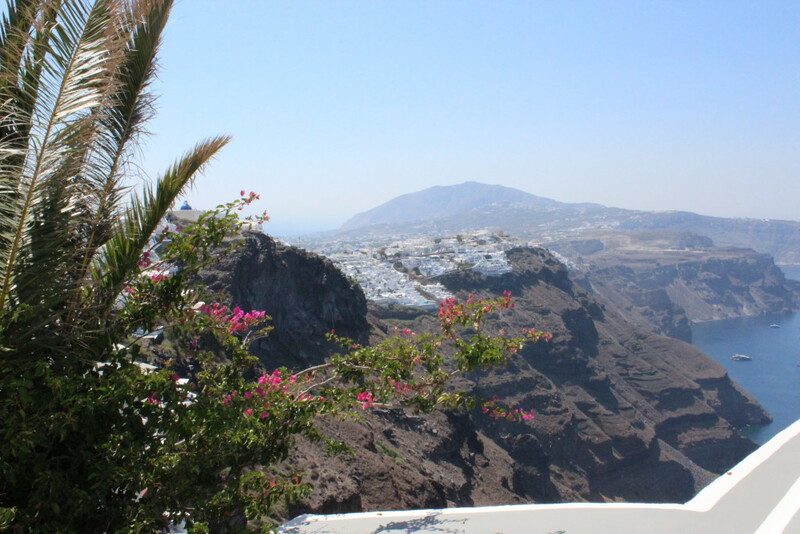 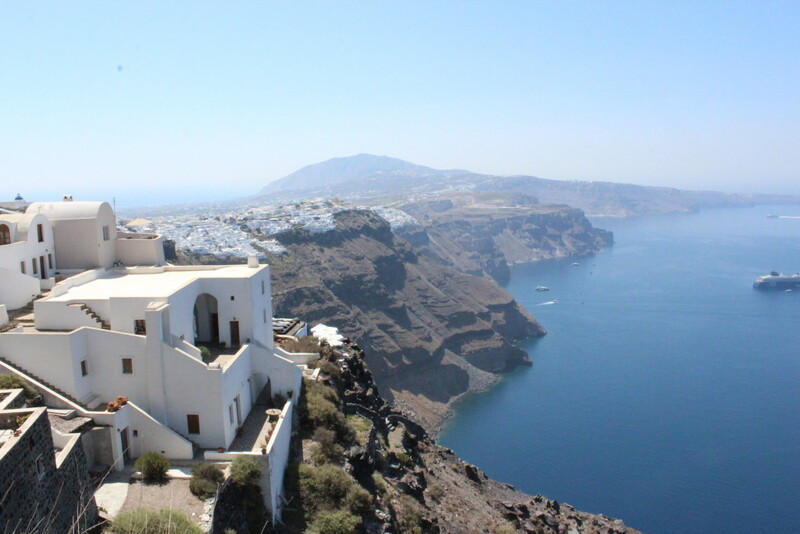 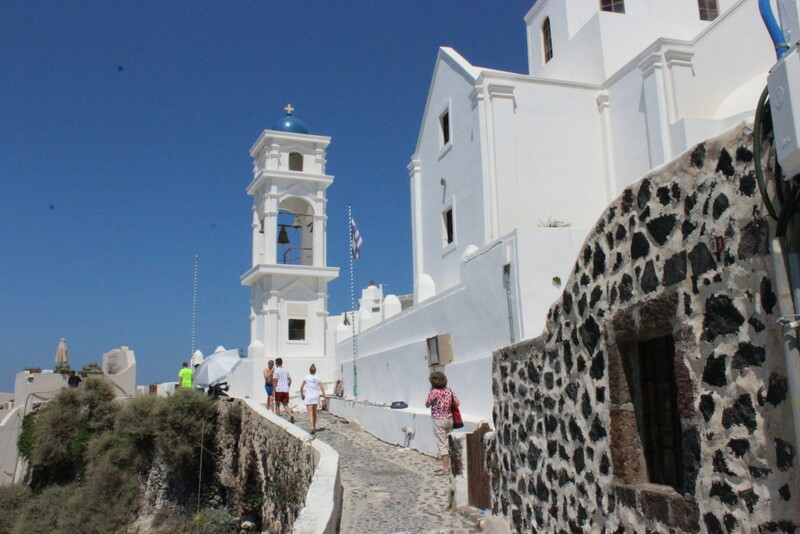 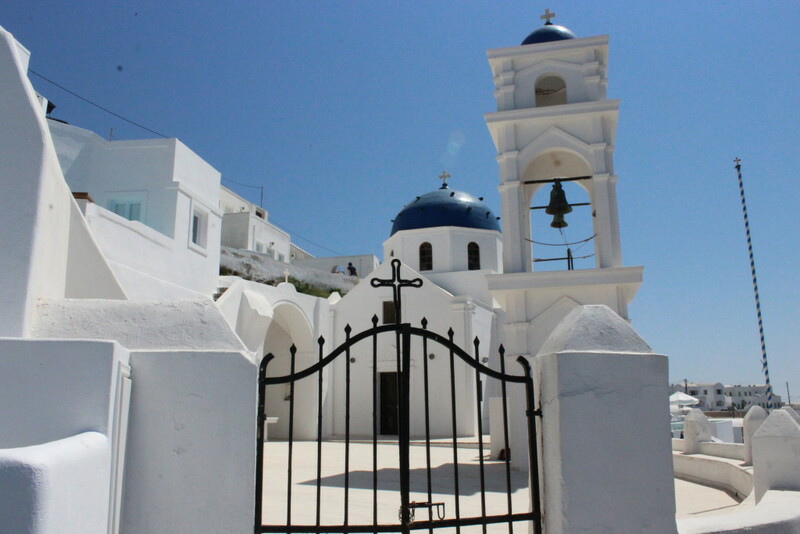 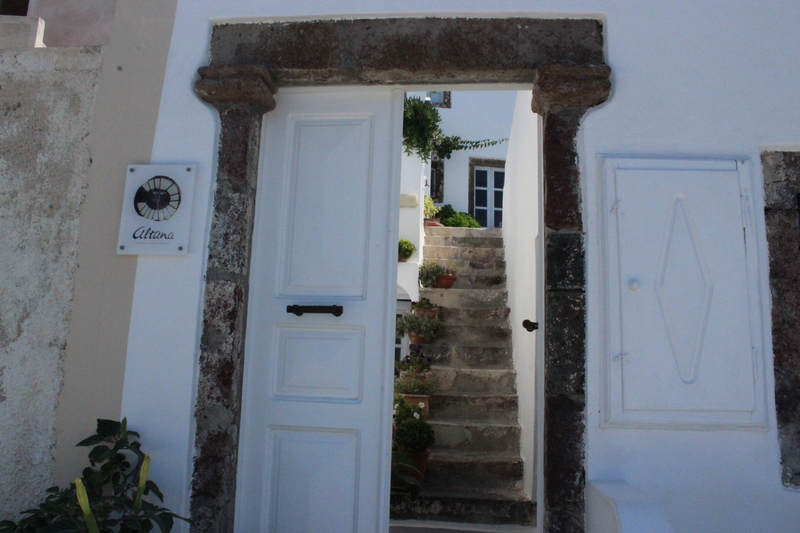 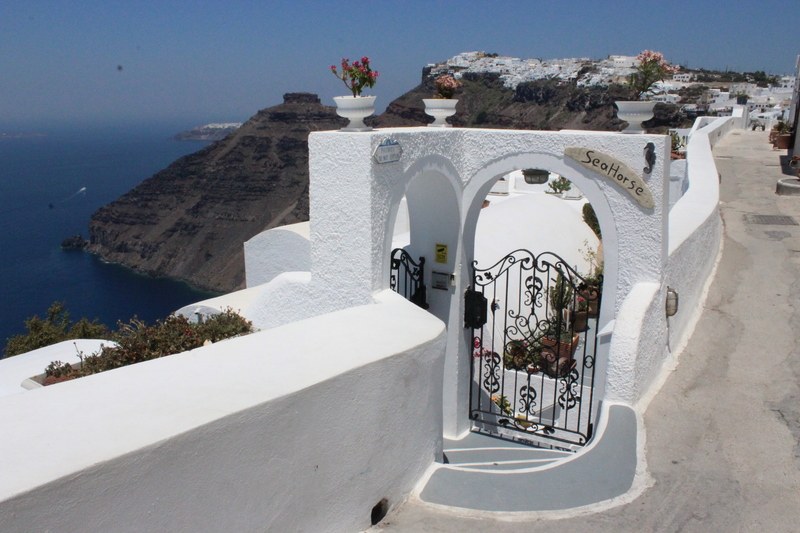 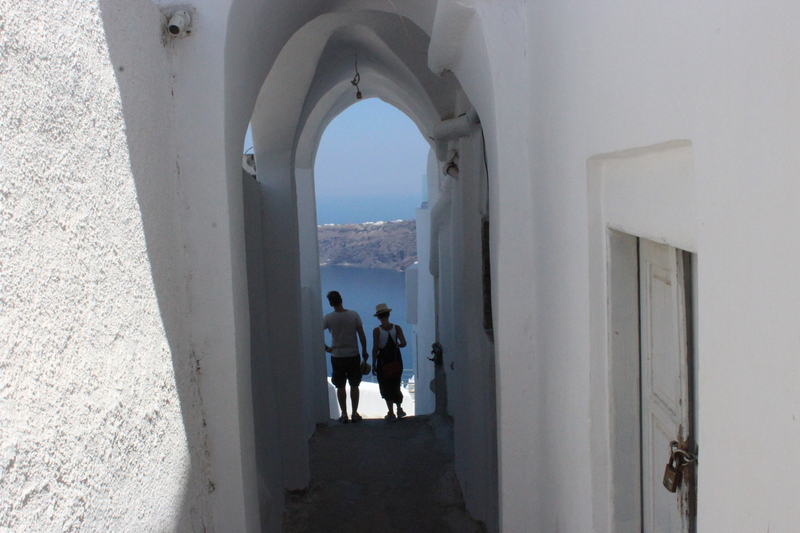 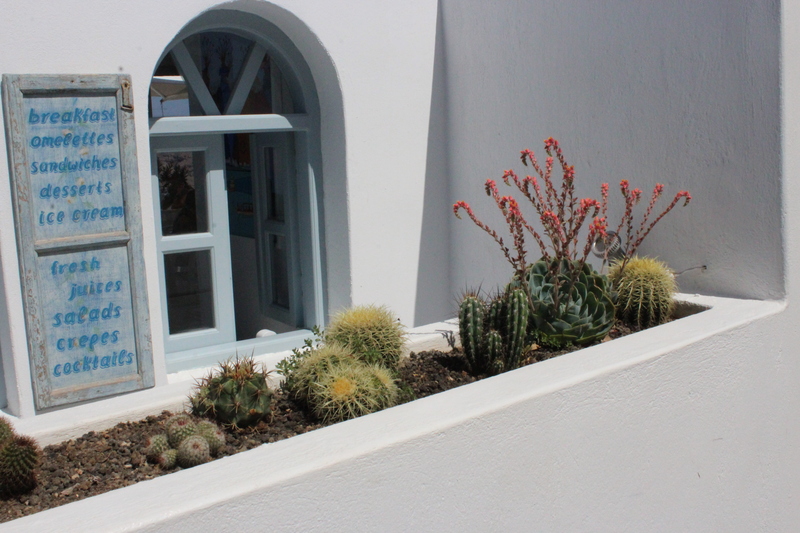 The population of Fira is around 2000, and the town sprawls north and merges into two more villages: Firostefani and Imerovigli, located on the highest point of the caldera edge. 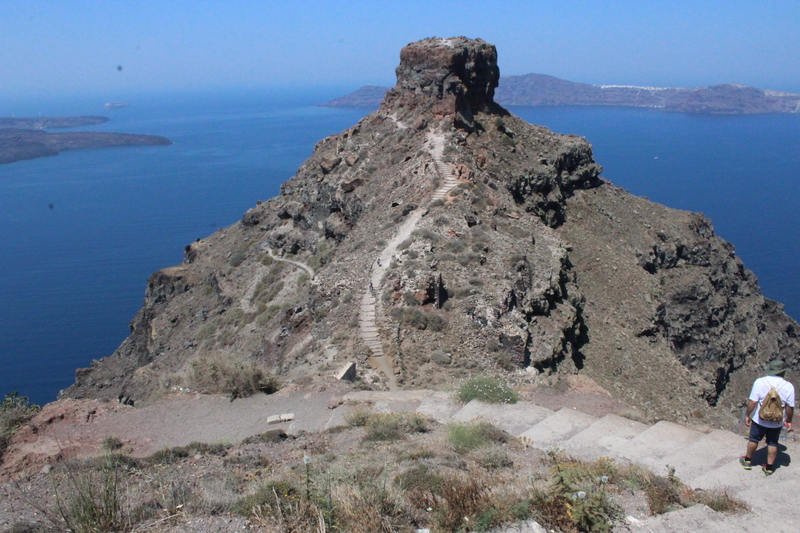 The walk to Imerovigli takes only half an hour. 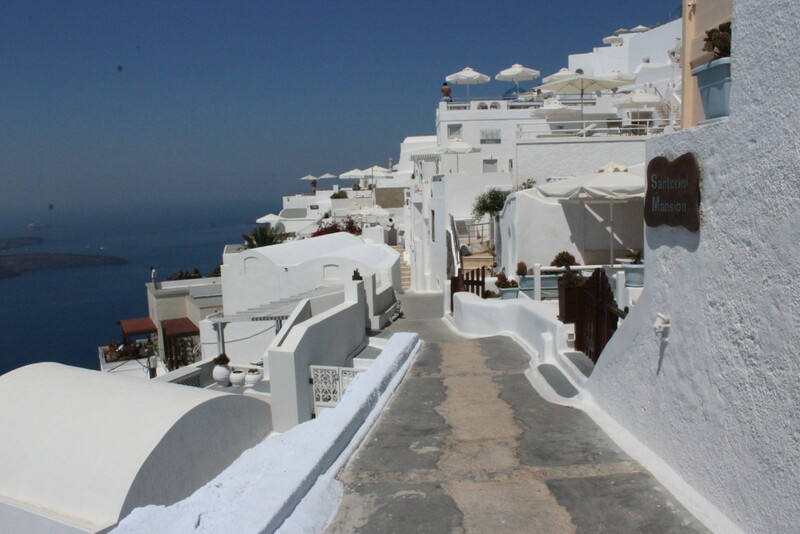 The views are spectacular and the three towns are very charming. 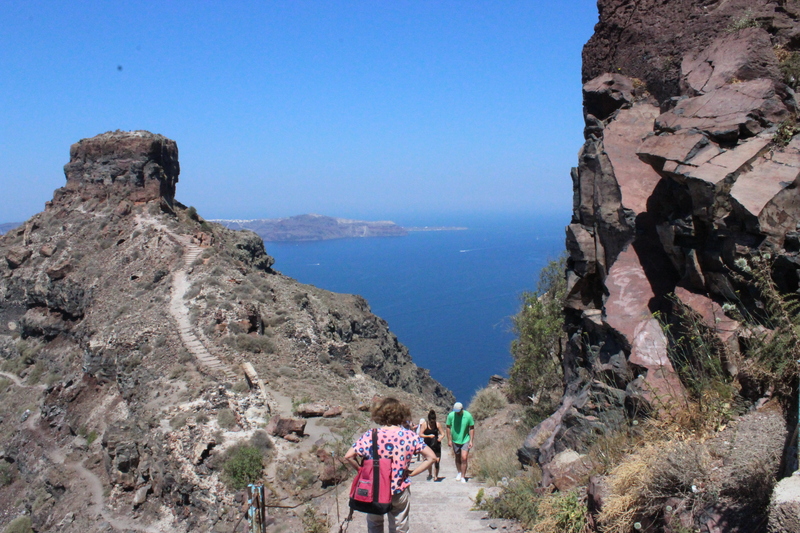 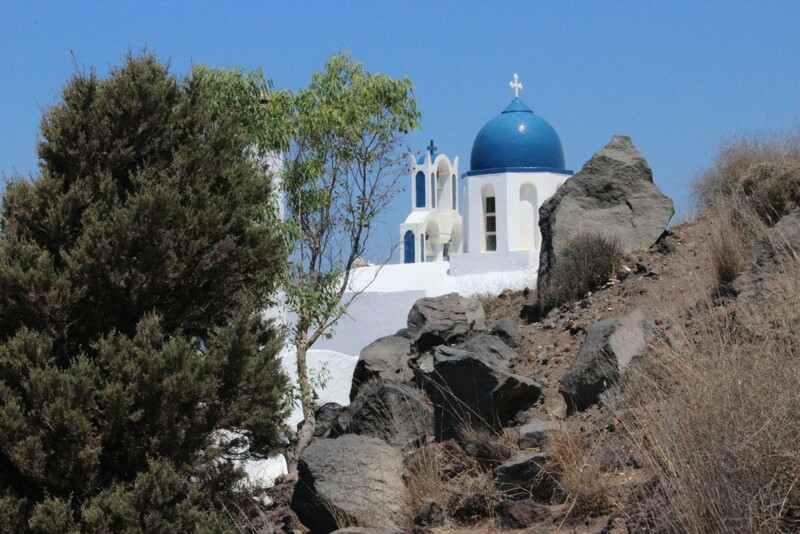 From Imerovigli, a small path leads to Skaros, a rocky headland with great views and a perfectly situated church.